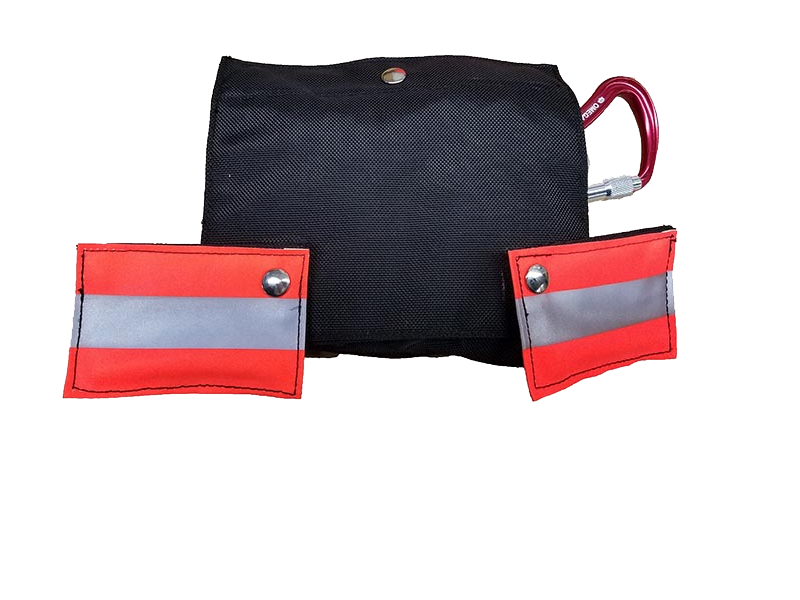 The Phoenix Hip Pouch is designed for both the right and left side of the firefighter and should be mounted opposite of the closure of the waist belt of the harness. 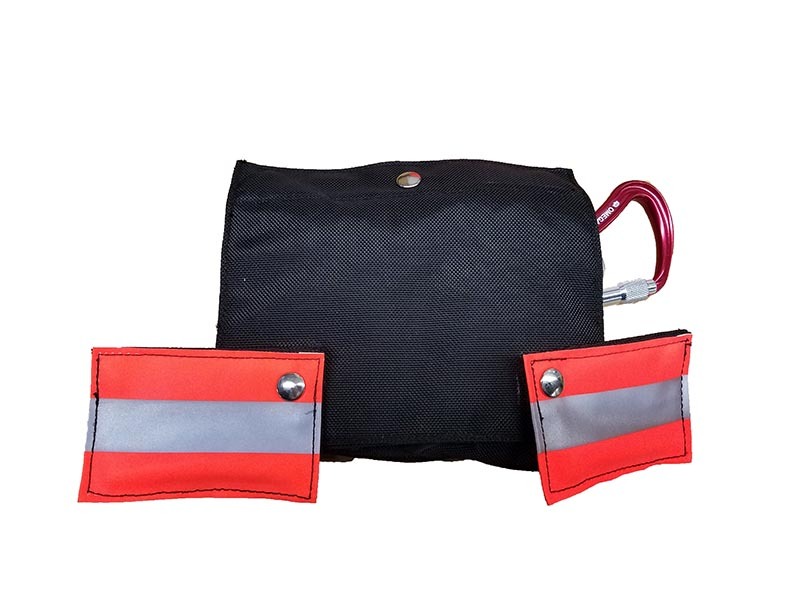 The pouch is designed in a two part configuration, the front part being the hook storage area and the rear section being the rope and descender storage area. The pouch can easily hold the RPI Hook and the RPI 1/23 Hook as well as all other certified escape hooks available today. 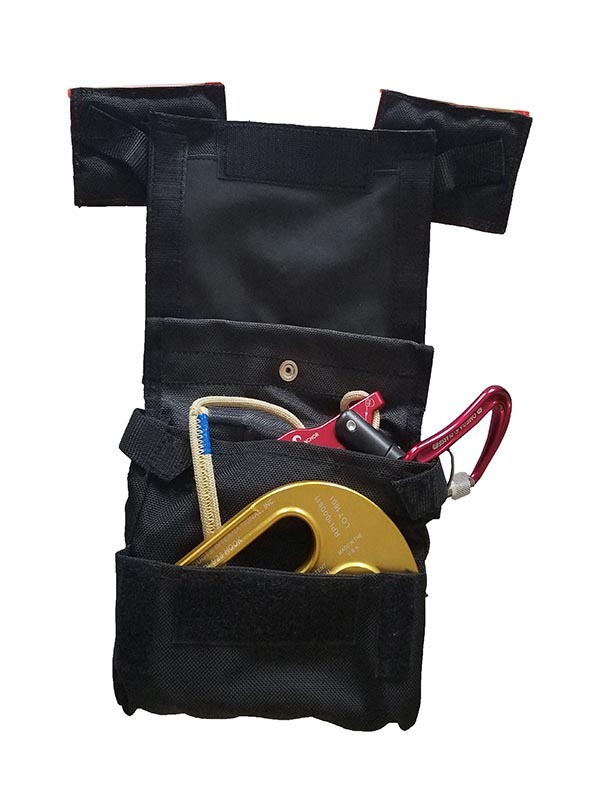 The pouch is designed to hold up to 50’ of 6.0mm Rope. While originally designed to for the Phoenix System only, the Hip pouch has the ability to hold multiple different escape systems currently available on the market. The pouch is designed with a tear-a-way top flap that is designed to be removed during deployment to prevent accidental closing due to conditions.